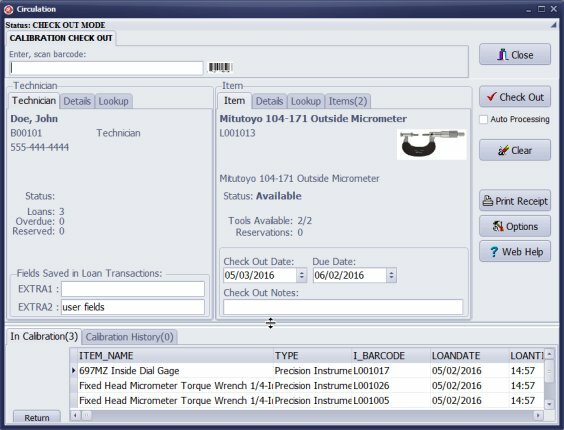 Calibration Check Out: technician, administrator, or calibration contractor checks gages out, they will be marked in inventory as items loaned out for calibration. Select technician or company that is responsible for calibrations. Scan id barcode number or type in into the barcode field. You can also click on the Lookup tab and use search. Click Check Out. Item is marked as loaned out for calibration. 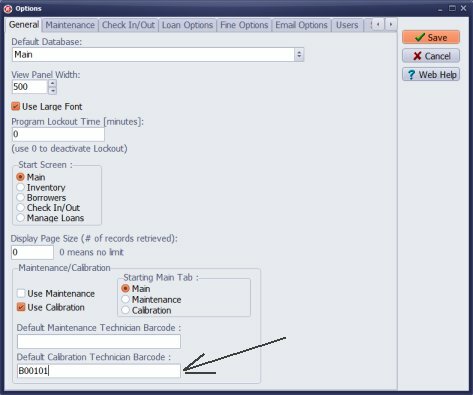 You can set the default technician barcode number in the Options (if one person or company is responsible for calibrations). Technician or company will be selected automatically.